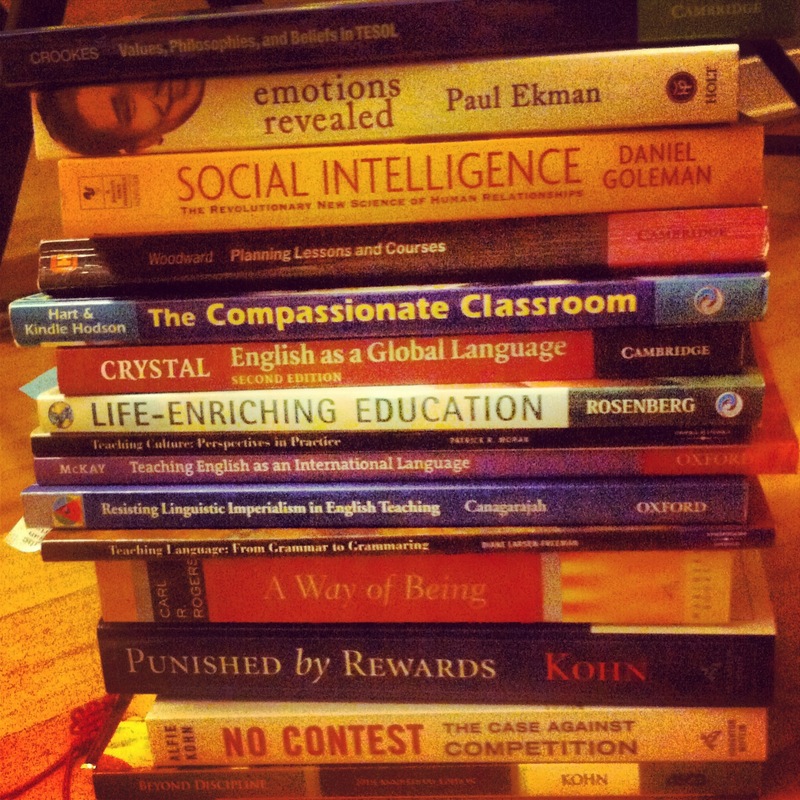 My dear friend and iTDi colleague, Ratnavathy Ragunathan, asked me to share a list of “must-read” books about ELT or teaching in general: books that have inspired me as a teacher. Well, she inspired me to create the following list. Some of these books I’ve read through and through on multiple occasions, and some of them I’ve skimmed for various reasons at different times in my life. I say this because she asked me for a “must-read list”, but I also suggest “must-skim” and “must-have-in-your-awareness-or-on-your-bookshelf”. Thank you for the suggestion!I’ve never read it but will put it on my “must-read” list immediately! Ah, you love books too! Adding this to my reading list. Thrilled to find recommendations for books on a subject I want to explore. A book that changed my life. Identity and language learning, gender ethnicity and educational change. About five migrant women learning English in Canada. That sounds like a very important book! Do you happen to have the title? Or do you have your own list on your blog? Now, that is surely a brilliant, brilliant list! Thank you very much for summing it all up for me. Looks like I’ve got a lot of reading to do! Ratna! Glad you found it useful. It was a lot of fun to put together. While doing this I realized a measure theme, which was fun: I don’t accept the status quo. Most books was about pushing myself to look through a different lens than the one I was raised with. It was an interesting and tangible glimpse into my psyche. Thanks for that!